The work of a mom is cyclic. The laundry, the meals, raising the kids: these tasks keep coming back. Sometimes this can leave you with a feeling of drudgery and boredom. When you feel bored as a runner, the advice is to shake things up a little: run a different route, use different speeds, change your way of training. I used to run three times a week for thirty minutes, but now I'm training for the 10 km. Gone is my feeling of boredom: I've got a new goal and a different way of running. You can apply this method to your work as a mom. Take a fresh look at your daily activities and try something new. You could, for example, become a member at Flylady. 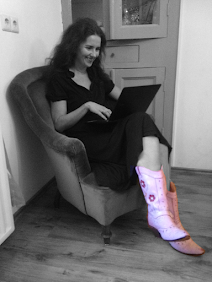 Flylady is a free coach who sends daily emails with your tasks for the day. 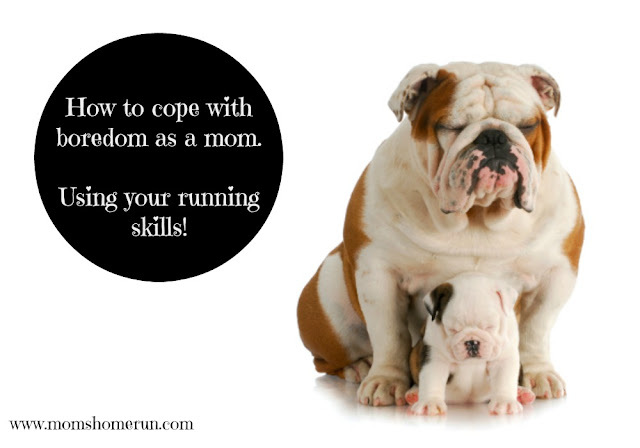 Use the schedules from running and apply them to mothering. Divide your work, finish your task for the day and then kick back. With a fresh outlook the world is at your feet. I just became a member of flylady both on facebook and the website. It has helped so much this week on keeping me on track! This picture caught my eye in the link party. Your so right about boredom and changing things up. I'm not a real mom, but I am a bulldog mom (that's why the picture caught my eye :) ). Great ideas! Thanks for sharing! I have heard of Flylady just never signed up. It is boring doing all the household tasks sometimes, so repetitive!